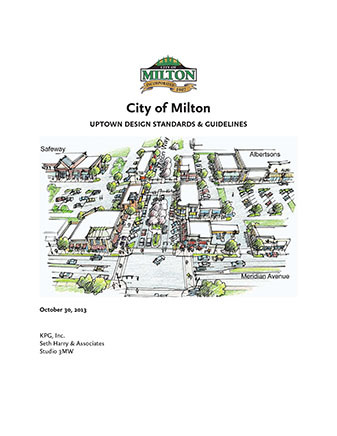 The Uptown Design Standards and Guidelines for the City of Milton, WA were produced following a citywide community engagement and public design (charrette) process led by Seth Harry and Associates, Inc., with local engineering and design firm, KPG Inc. 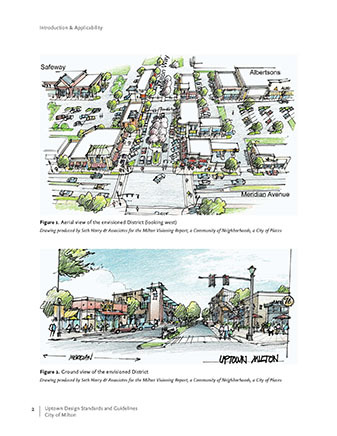 The standards and guidelines themselves were the result of the combined efforts of Studio 3MW and Seth Harry and Associates, as a companion document to the Goals and Policies Document specific to the Uptown District. 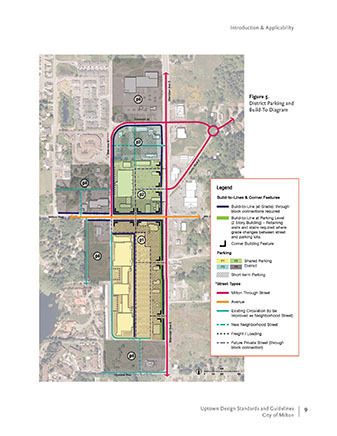 The Uptown District is intended to be the City's premier mixed-use commercial center. 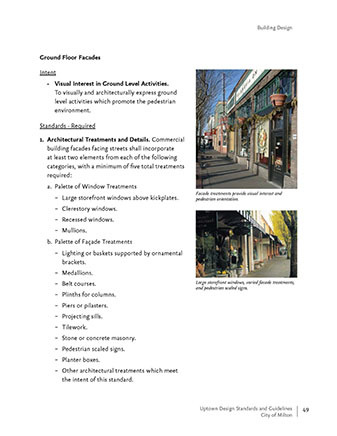 The standards and guidelines were produced to guide future redevelopment in the district for the purpose of creating a vibrant walkable, mixed-use amenity for the residents of Milton, and an attractive destination to the region, overall. 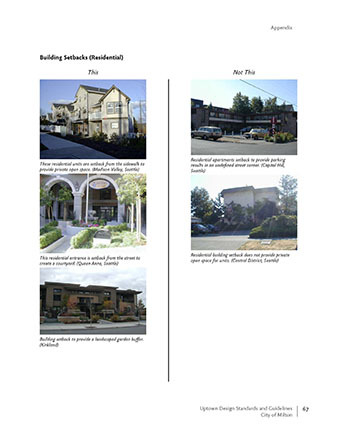 The standards are designed to apply to both site and building design. 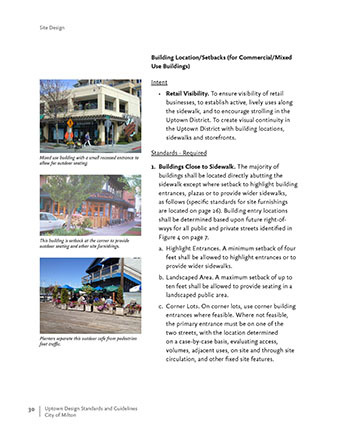 In addition to providing design input and related graphic materials for the guideline document, the firm also produced multiple build-out and phasing strategies to illustrate how the guidelines will be applied.